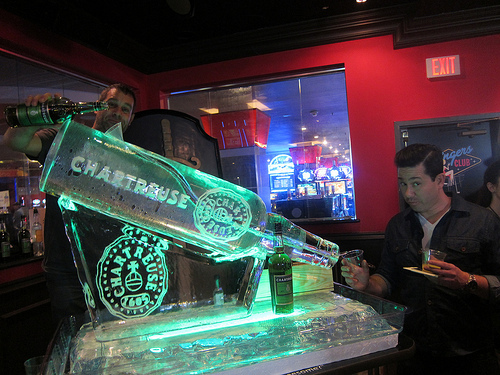 While I was in Las Vegas for Nightclub & Bar, I had stopped by the regional Speed Rack competition where I experienced the joy of a Chartreuse luge. 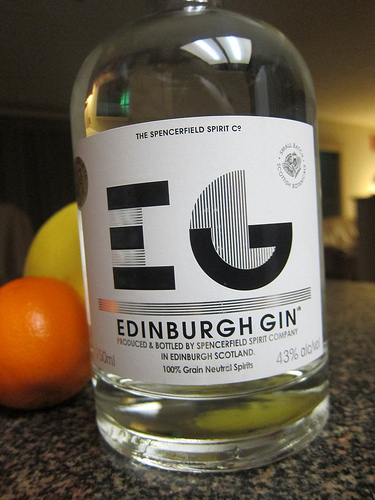 After chatting with the importer, he mentioned they also will be importing Edinburgh Gin. I tried some really liked the more floral (versus juniper) notes. They kindly sent me a bottle and I tried a couple of cocktails. 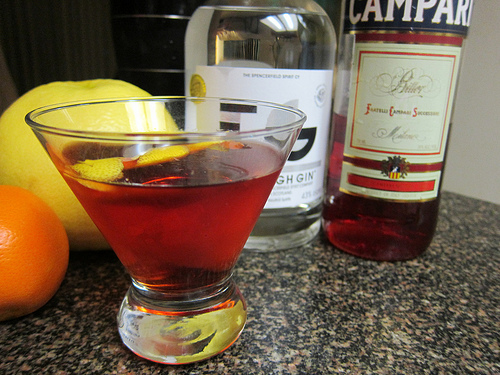 The traditional Negroni recipe is equal parts gin, Campari and sweet vermouth. I have played with the specs and generally I like it with a bit less sweet vermouth so I can get the most of the bitterness. 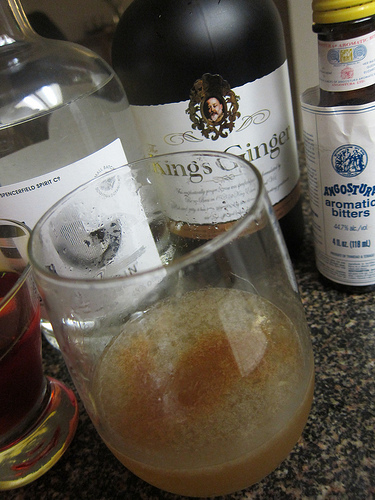 However, for this Negroni with Edinburg Gin, I decided to try it with equal proportions. It made a lovely Negroni and the floral characteristics were not lost at all. Stir for about 40 rotations. I like them up so strain and garnish with citrus peel. I know there’s a hot debate about the citrus peel. Most prefer orange to match the bitter orange Campari but I like the lighter lemon. In this case, I used a sweet lime peel (which is yellow). I’m going to have fun playing around with this gin. I imagine it’ll make a lovely French 75, Aviation or perhaps a Last Word– now if only I had some Chartreuse to find out (grin). This entry was posted in alcohol education, alcohol tasting, cocktails, history, spirits, the minty and tagged bartending, campari, chartreuse, cocktails, edinburgh gin, gin, king's ginger, negroni, recipes, royal gin gin, the minty. Bookmark the permalink.